Time flies so fast. It's already the end of year 2014. I feel really thankful that I spend another wonderful year in my life. I'm glad that I've keep my passion and promised to blog and collect my life journey and adventure and share with you guys. Merry Christmas! How do you guys spend your Christmas Day? I've been spending these days with my darlings! Gonna head to our X'mas dinner later. I wanna blog something about the make up products that I've received lately. I really love NARS product so so much. 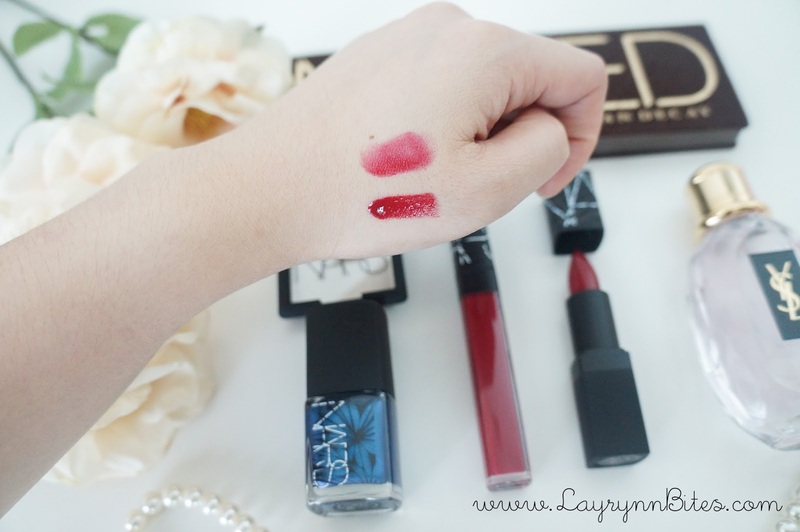 Special thanks to NARS team sending some of these awesome holiday collection for me to try out! They launched this 2014 holiday collection by naming them as Laced With Edge. 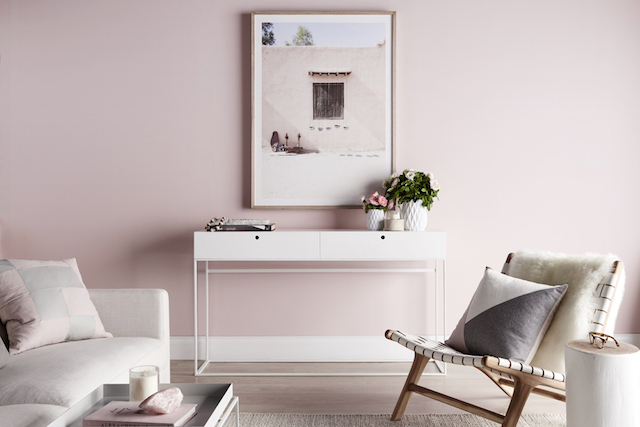 this captivating collection exposes a full range of colors and textures with dramatic dimension. These are the products they sent over for me. Perfect for my christmas look! 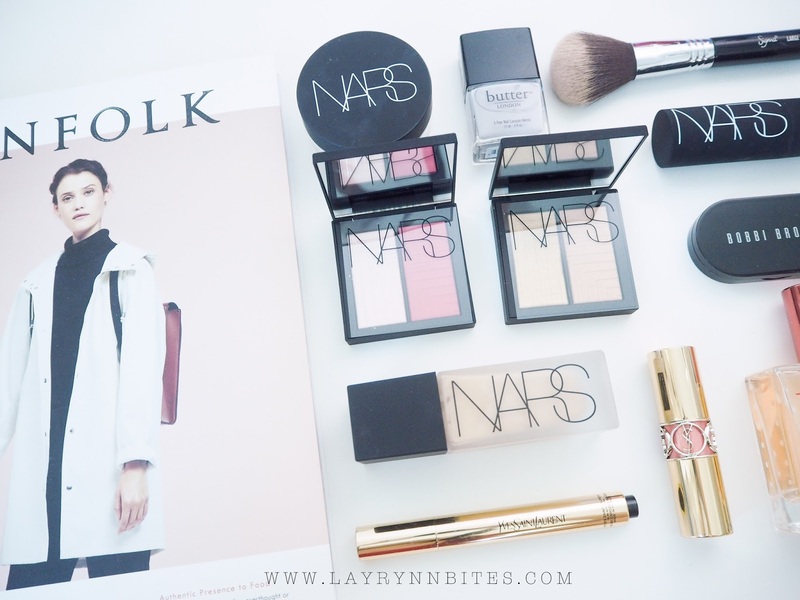 You'll notice that this collection having small size then the normal NARS product. digitally rendered Nebula print into dynamic yet delicate depiction. The intricate web of black gloss grips the signature soft-touch packaging in a modern take on lace. Isn't that special and pretty? 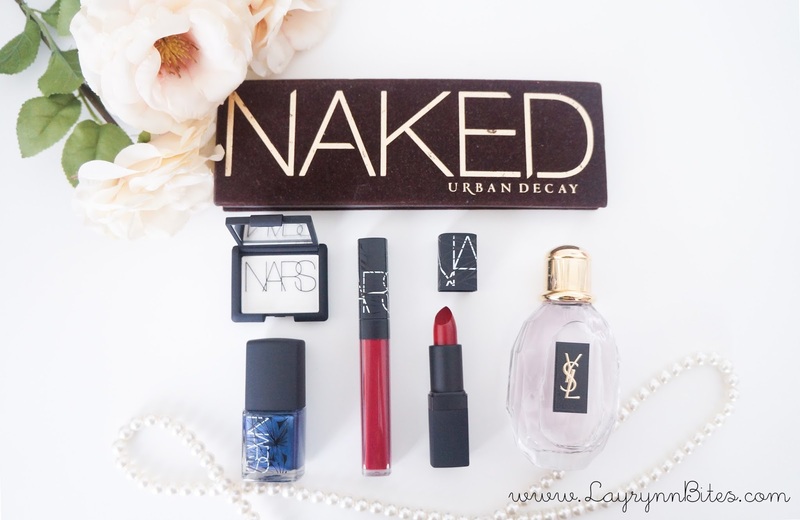 That's my essential of the day for my Christmas look! 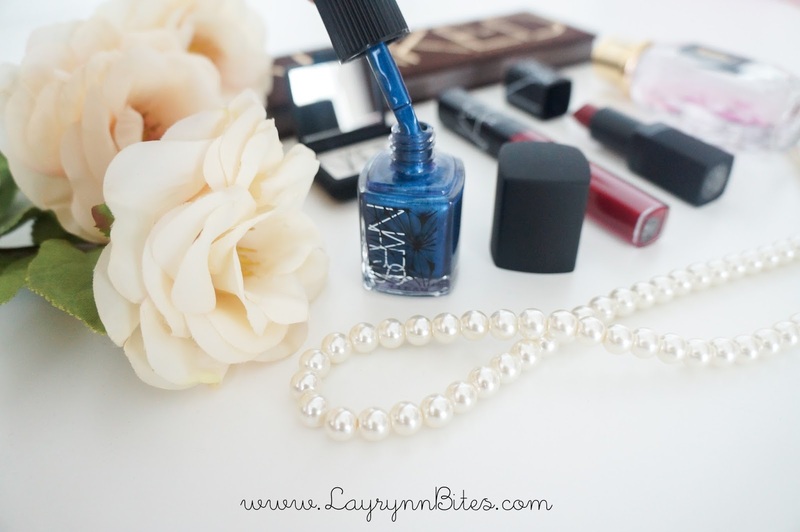 NARS nail polish is pretty special because it has two layer of cap to prevent it to leak out. Can't wait to used it for my dinner look later! All the holiday collection are available on November 2014 onwards. What's your Christmas look tonight? Remember to leave me your link to check out your blog. 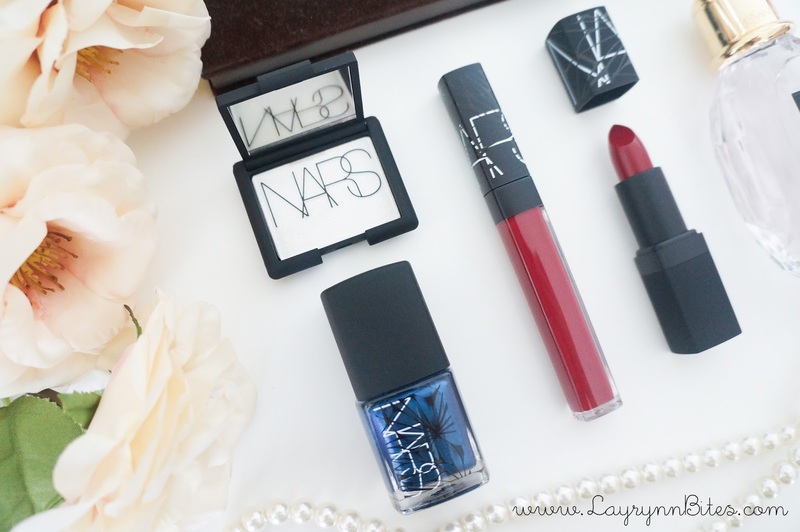 Thank you so much for NARS team for sending these pretty items for me to try out! Gonna get myself prepare to head for our X'mas dinner! Hi peoples! I'm back after MIA almost one week. I shouldn't drag any pending post more because I have too many post needed to up on year 2014. I can't believe that it is only 3 more days to Christmas! I have too many pending awesome post to share with you guys, but I still left some bits to edit before publish. Please allowed me some time, hehe. It's officially December now! I'm sorry that idk how many times I've been mention about it. Can't wait for the most wonderful time of the year! It's been awhile I did my favourite of the month. These are part of the favourite that I purchase on November and the past week in December. 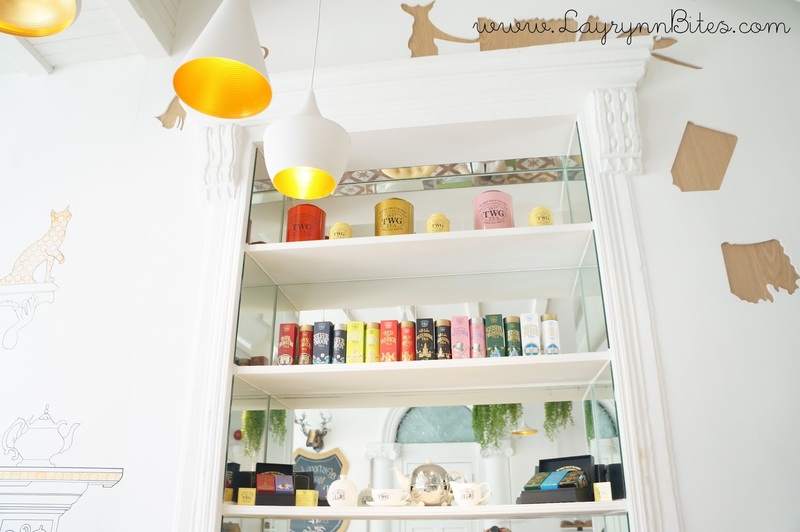 I choose some of my top favourite item to blog about it! DISCLAIMER : This is not a bragging post, if you don't really like this type of post, please click exit from this post. I just wanna share my joy for my favourite item in this post, hope you guys like it! because there are so many sweet and interesting stories that the movie did not mention about it. 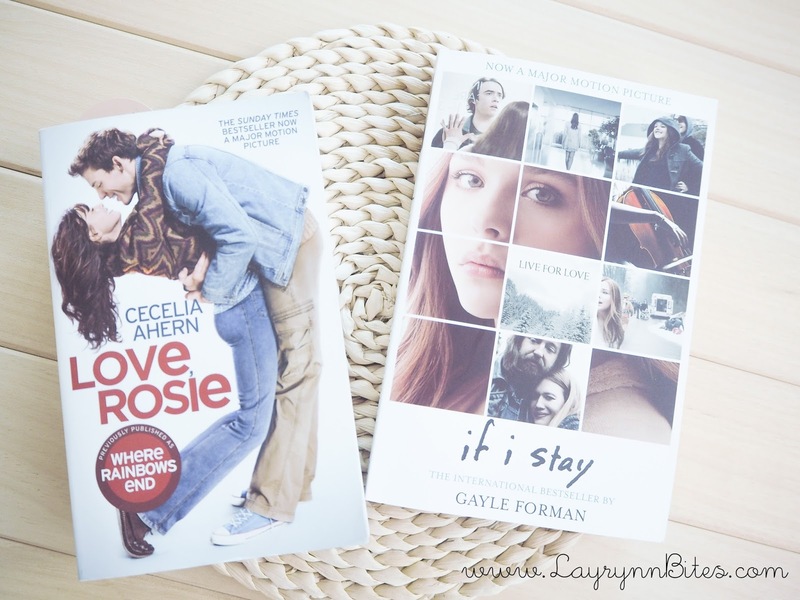 I haven't start to read If I stay yet, but I bet it's worth for it price too! Today gonna share some topic with you girls, about DRESSES. Never gonna lie that I love dresses so much. I don't consider myself as fashion guru or fashion icon person. If you know me well, you'll know that I always go for simple and comfy outlook. So I always prefer dresses. One piece and I'm good to go for my date. There are too many ways to style with dresses. Dinner party dresses, casual dress, maxi dress, wedding dress and etc. Dinner party is the party that you could dress up yourself to look amazing as much you can be! which you wanna be the most outstanding and unique than others. The most common choice everyone will go with is stunning dress / gowns, as it gives off the romantic elegant approach. These are some party dresses that I loved. Elegant and classy. I personally will dress up for these choices of gowns for the dinner parties. If you're not a gown person, you can always go for other choices of dress. Here are some of my favourite too! Black and gold. White and lace. Everything looks simple and effortless. But it do shows that you're dressing up for the night or date! I love to play with accessories. Thus I love adding on some accessories that will bring our look to the next level. Here are some mix and match by styling up with dresses. So, which is your favourite look styling up with dresses? 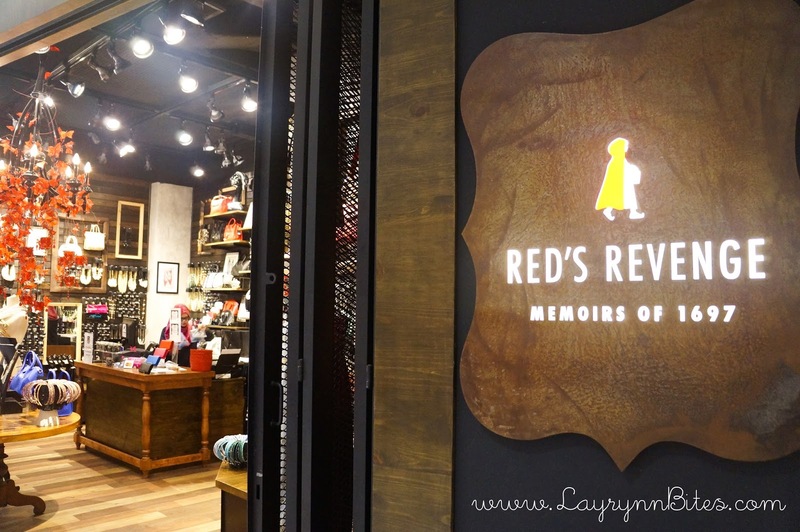 Looking for some stylish and fashionable dress in Malaysia? Zalora offers a wide range of dresses online from various local and international brand for women to choose. The fashion online store you'll never wanna missed. Have a great day ahead. xoxo. I know it's only end of November, but I can't help and hide that I'm really excited for Christmas. The songs, movie, decoration and exchange pressie with loves one! I'm so touched when I saw so many of you read my previous post, it's so overwhelming! 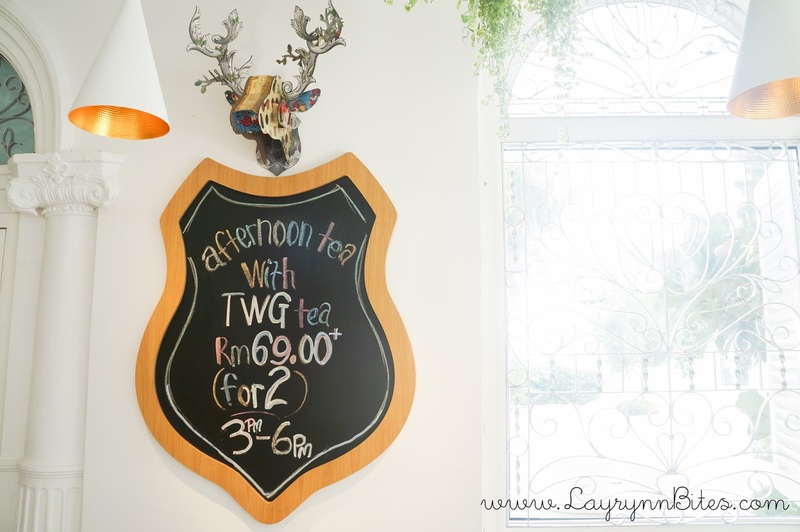 Today gonna blog about my afternoon tea session with my girls in Macalister Mansion. It's been awhile I could hang out on weekdays. 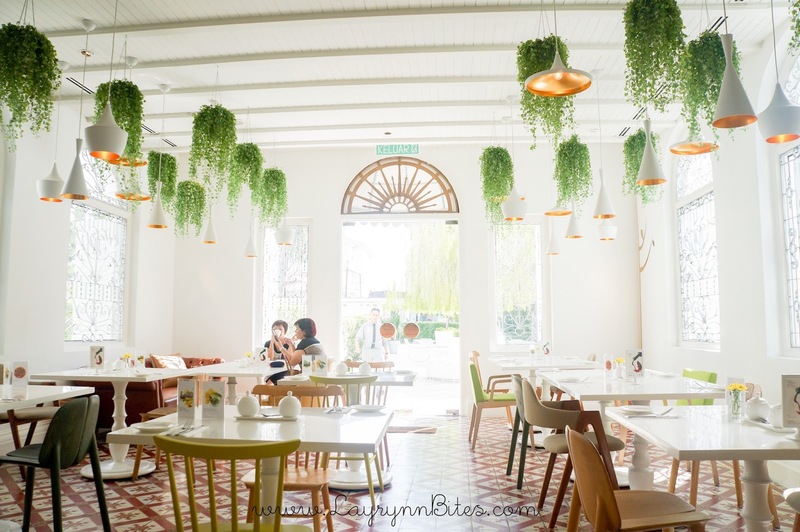 It's perfect that no much people crowded there for tea on weekdays. I just love the environment so much. Simple and cozy. Perfect place for bounding session. It's actually consider late lunch for me that day. Been busy filming new video the whole noon. Will be released soon on December! Thank you for all of the gift! I love lil card more than gift actually, it warms me more than anything. 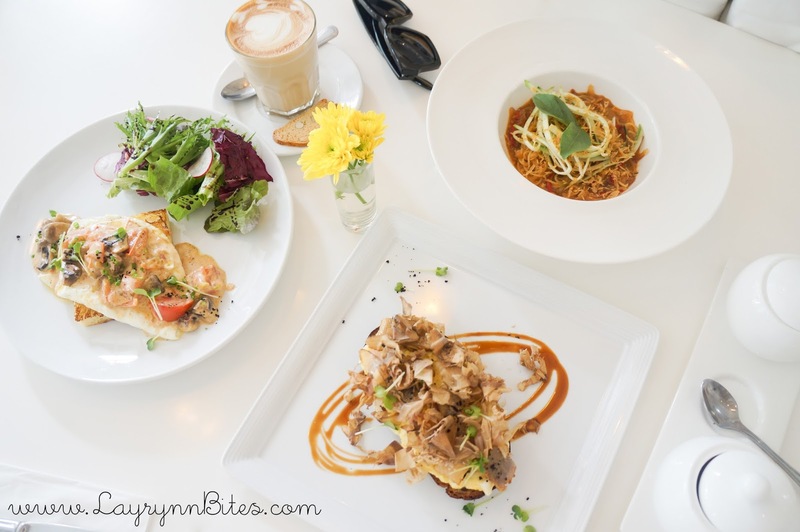 Add : 228 Macalister Road, 10400 George Town, Penang. Scheduling the next post, remember to stay tune for the next post. Sorry for the late for this post! I feel relief when I start spending time typing this post. I've been drafting it for weeks, but I din't get the chance to sit down properly to write this post. It is actually quite a sensibility post kay, so I don't wanna rush and finish everything. As you guys know my style, I don't love rush work. 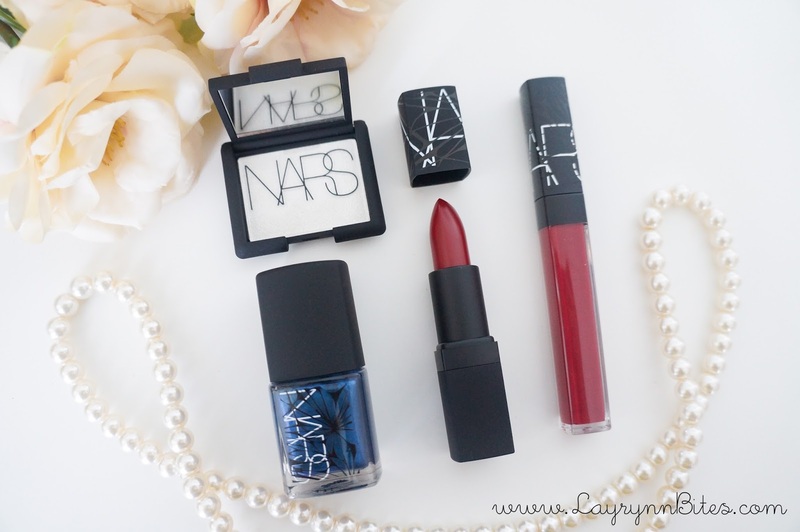 NARS COSMETIC finally launching in Parkson, Gurney Plaza Penang. but I'm very excited cause it is one of my favourite brand of cosmetic finally in Penang! so it's really thumbs up for me when I heard this exciting news. Finally have some time to update my blog, I miss those days that I'm so efficient to update per week. I'm kinda shock that many of you pm me about my Hua Hin trip, I hope I could help you a little in the places and transportation. 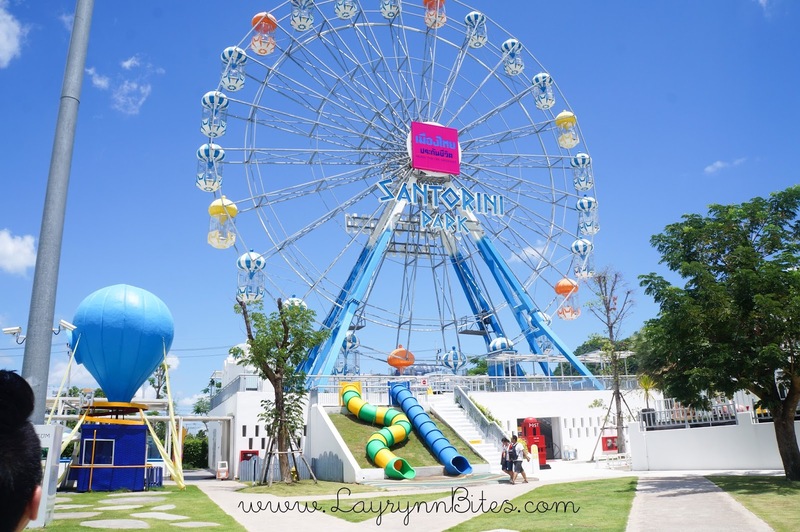 This will be the last post about my day trip in Hua Hin, don't missed out yoo! Sorry for not dropping by for more than a week. Can't believe it's November now! My favourite month past so fast. Everything happen in last month just like yesterday to me. Been busy lately for some of my up coming projects and I have lots of joy to share with you guys. I've been scheduling some post coming right away, but I'm still in the stage of editing. I've change my blog header! Wanted to change it for sometime, and finally did it today. Something simple and pastel feel that I love. Just got my photoshoot pictures from my friend and I love them all. But I scared too bored to upload everything on blog. So I guess I'll just upload time by time? This week gonna be hectic week for me! Hopefully I could quickly edit the upcoming post before the end of this week. See you again in my next post! 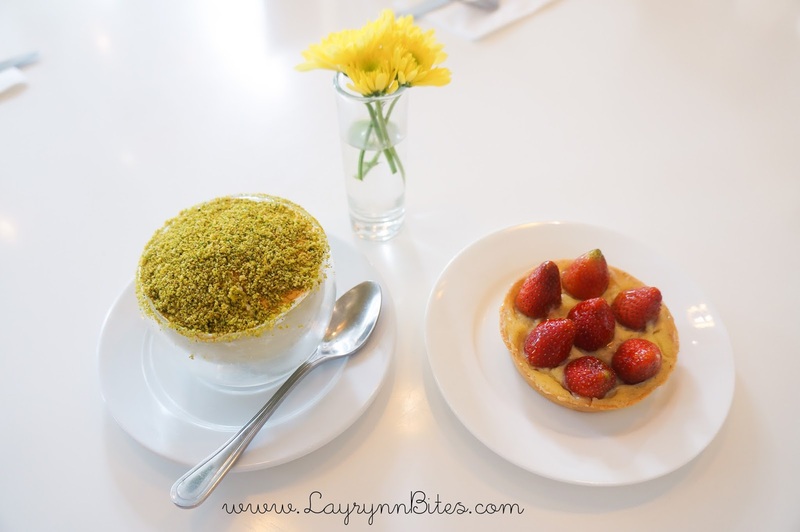 Back to beauty post today after a few cafe and travel post in weeks. 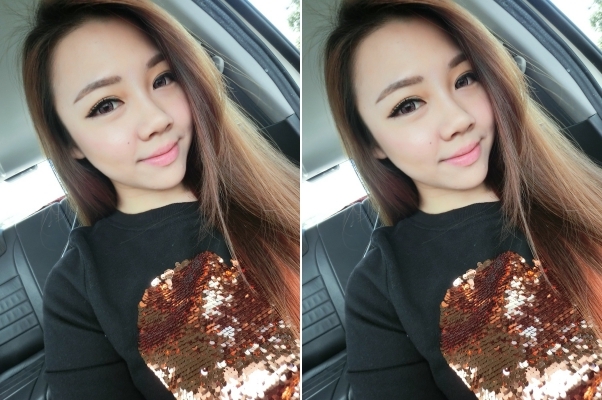 Today gonna blog about some beauty products that I will used every time in my make up routine. It's a PORE SMOOTH BASE. I personally feel that it is quite important for me to cover my pores and fine lines. 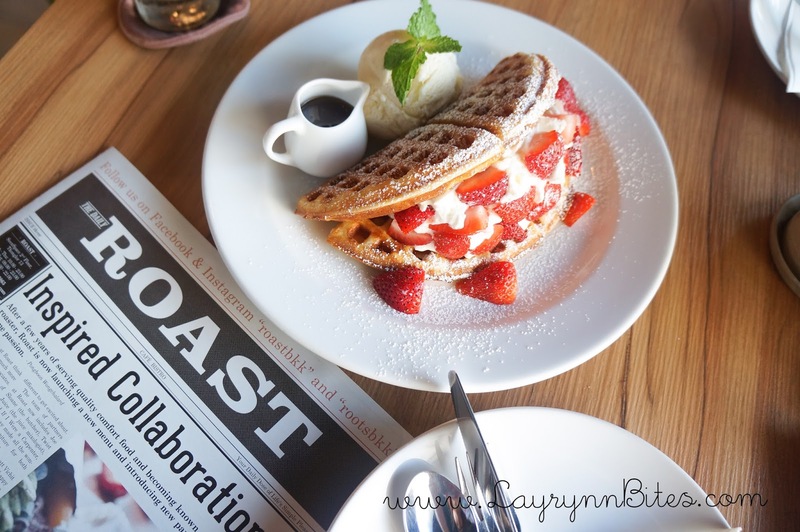 But I feel is kinda wasted that if I din't update or blog about all these awesome cafe in BKK. 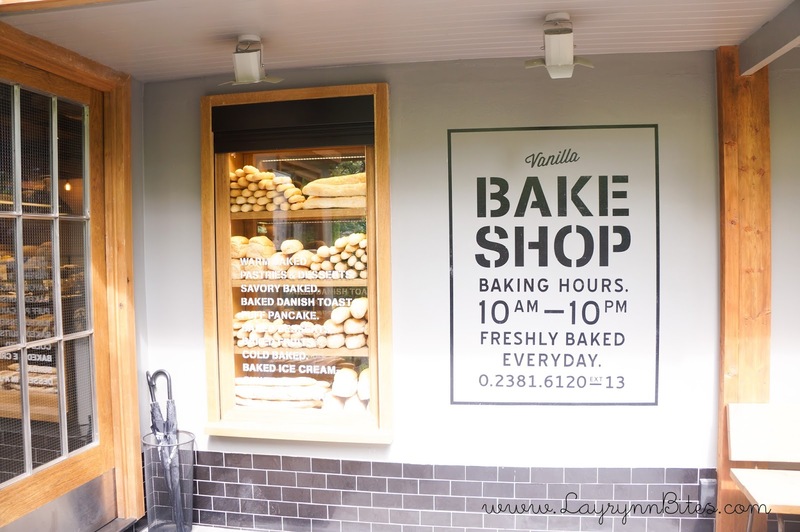 This is the cafe that I went after Chatuchak market, very nearby only! 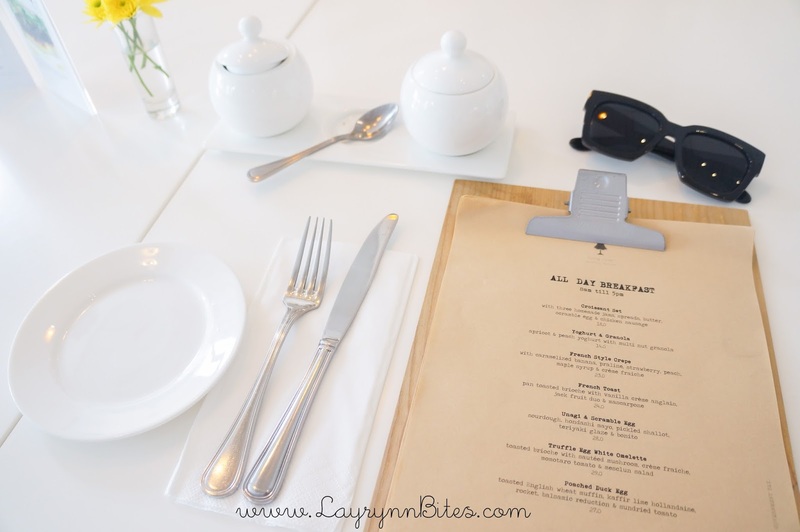 Only requires to use BTS and walking distances around 5mins then reach this small and cozy cafe. Hello darlings! Finally done editing all the pictures in this post. Promised myself that is a MUST to update once every week, so yea! I'm glad that the pictures doesn't require to edit much for the lighting cause of the perfect sunlight! But it's too hawt to open your eyes, I wear the strongest SPF sunblock there almost everyday. 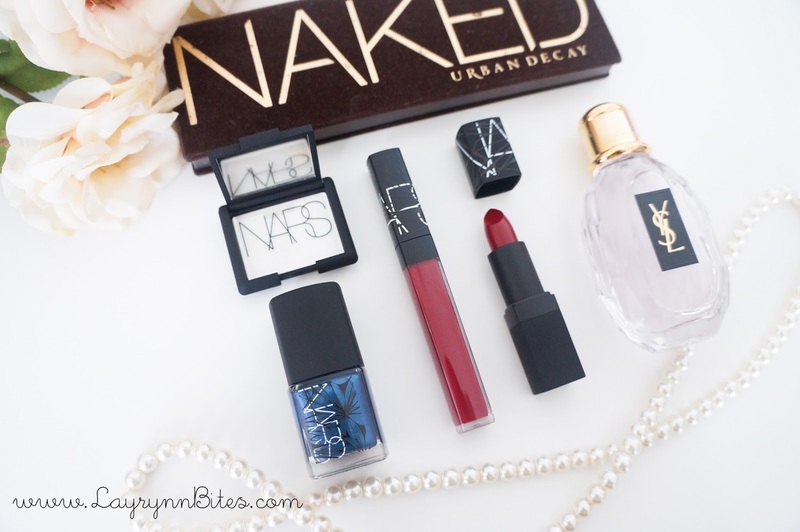 It's been awhile I've not blog about my beauty haul. 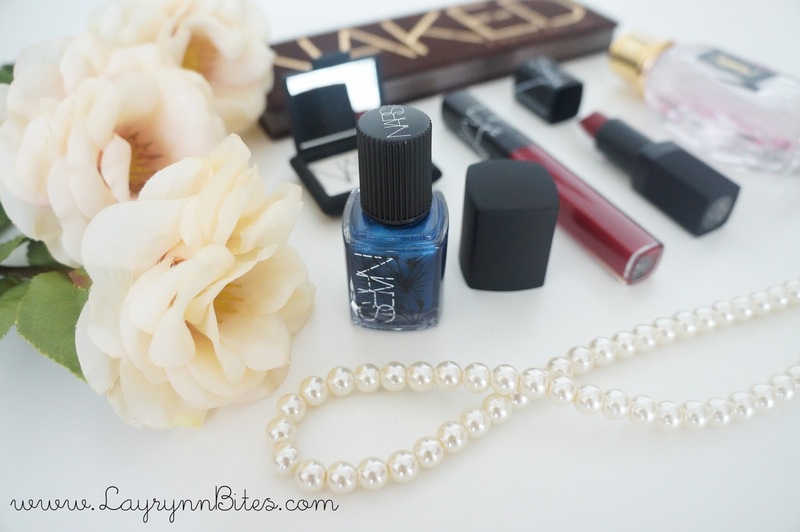 I back with some beauty haul today! A lot of pretty, cheap and cute product that I wish to share with you guys! she said that these are the MUST brand of beauty product when you travel to there! I'm currently scheduling all the awesome post and editing vlog during this trip! 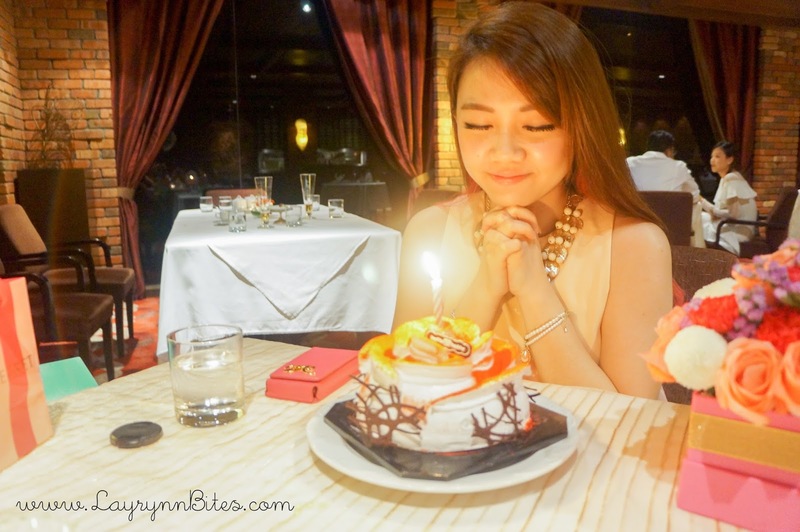 But today, I gonna blog about my accommodation in Hua Hin & Bangkok 1st. I feel kinda waste not to blog because I did took some pretty pictures from where I stay in. I'm super in love with my current hair colour under sunlight! Hello dearies! How's your day lately? I just touch down yesterday from my short getaway. Miss my shopaholic life at there everyday! 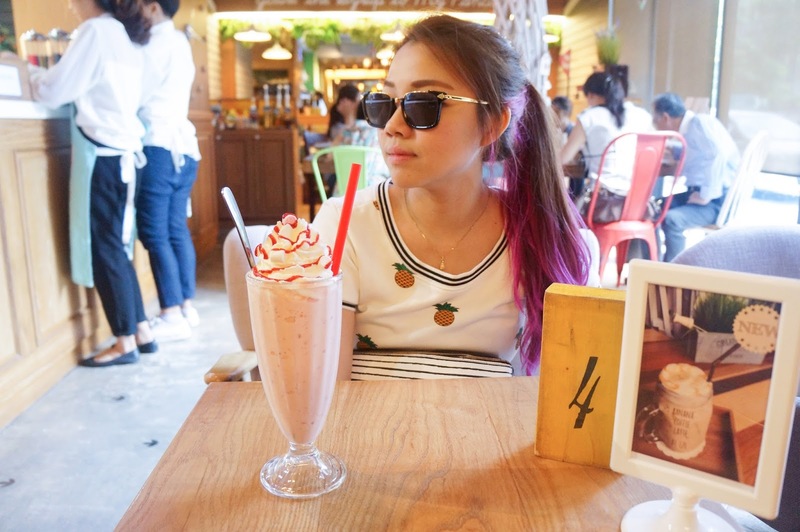 Gonna back to blogging today! 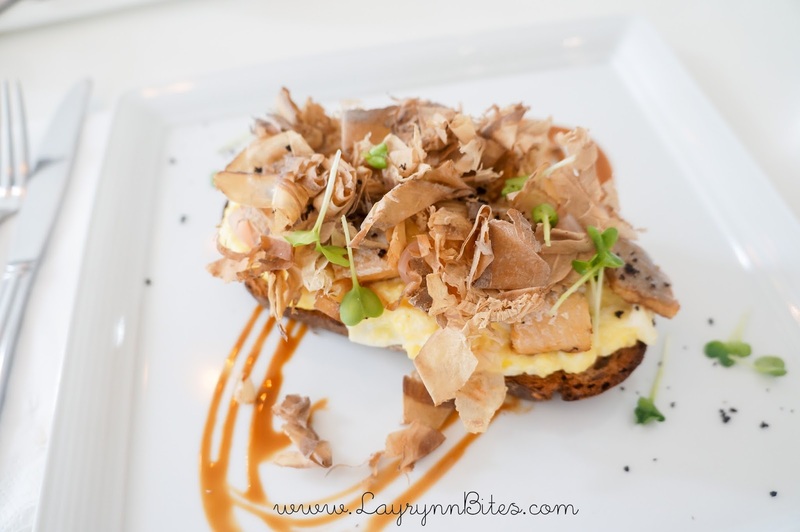 But I wanna warn you that if you're hungry, I suggest you not to read this post! Will be having too many food pictures in this post! 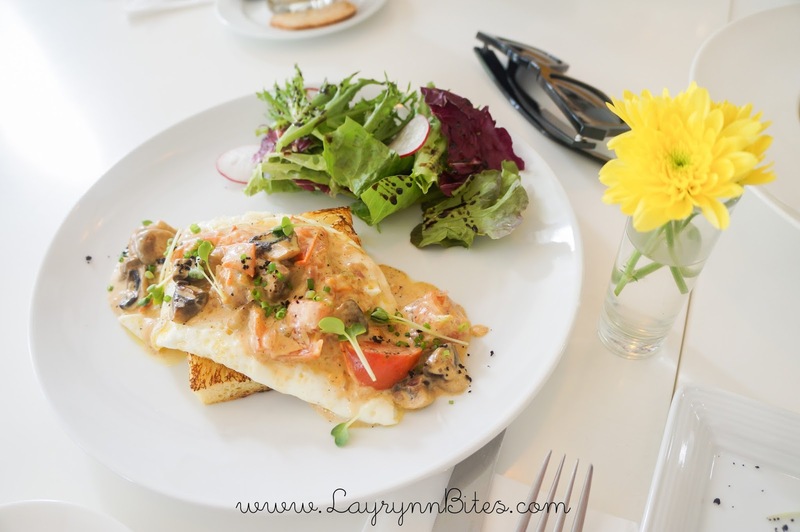 I'm a huge lover of exploring good food and cafe, but to be honest I'm pretty lazy sometimes. Lazy to make up, dress up and hang out for my meal of the day. Plus I'm not a fast food lover, I only have fast food like less than 5 times per year. 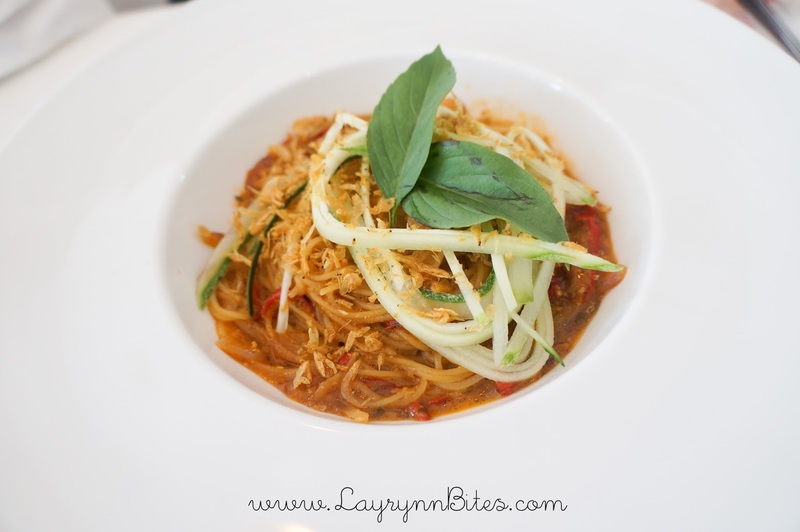 Unless you cooked / take away yourself, or else it's impossible to get good food if you're lazy to go out. I discover this awesome service quite a long time tho. But I still wish to share with you guys for their awesomeness of having variety of choice of restaurant! 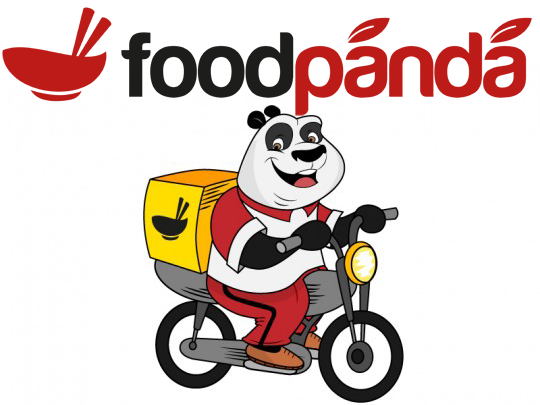 too bad they did not provide service in mainland yet. Hoping them will expand their area in the future! The best part is, they have my almost all of my all time favourite restaurant! that you can choose within your area. 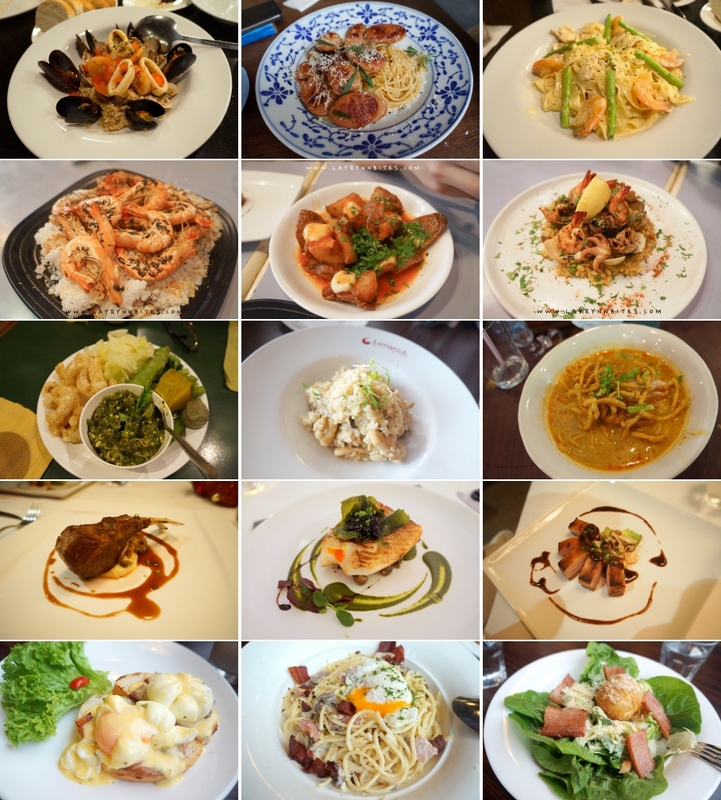 For my place, I can choose more than 56 restaurant! Almost what I craving for, they have it on their restaurant list! It's really a big amount of varieties for me as my meal of the day. 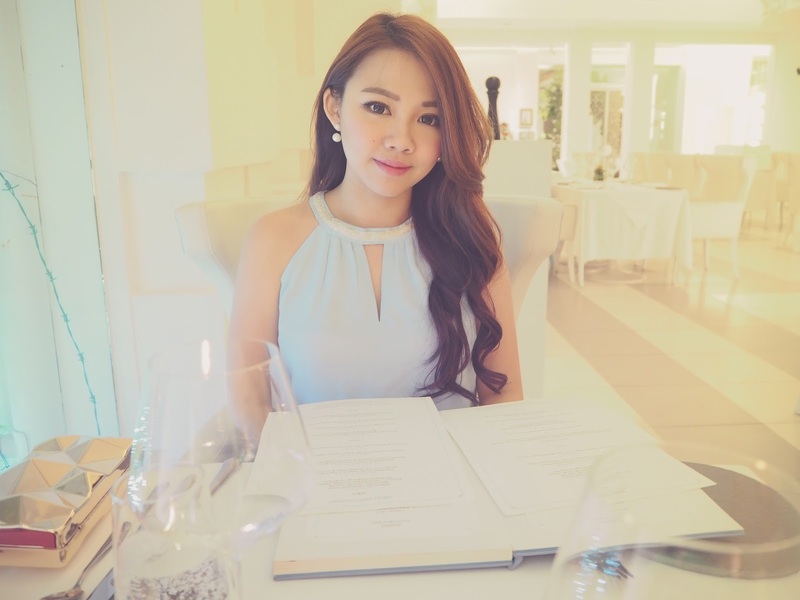 Plus it is super convenience that I don't need to doll up my self just to have good meal! 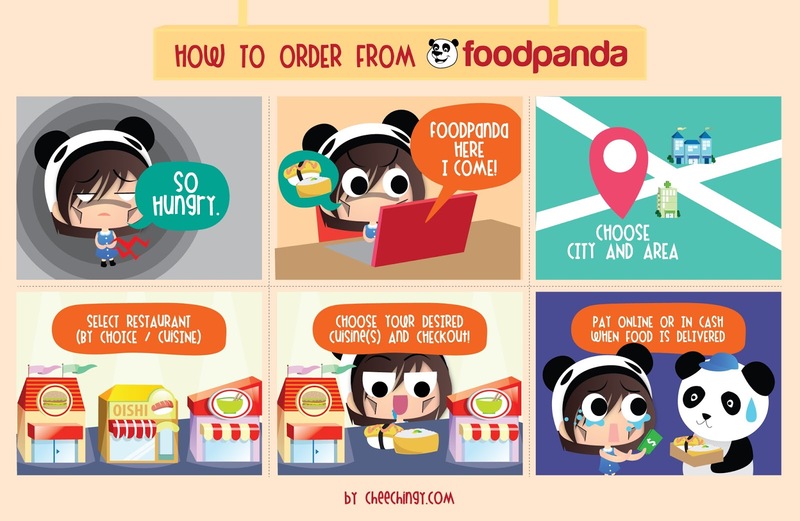 In case you don't know how to order from FoodPanda, I've attached this infographic from Cheechingy.com. Simple & easy to understand by you guys too! They even have their own apps in App Store | Google Play | Windows Phone Store too! It's really a perfect delivery for me in my lazy days! Cuddle in my sofa, having the best movie and good meal! If you've try them, remember to drop me your comment about your awesome experience with them! Do remember to check them out in their official website! Such a long time I dint really update my personal post about myself. Yea. I done dip dye again. This sweater you guys have seen before thousand times, but I love it so much. Keep me super cozy and warm whole day when I stuck in the saloon for the whole day. I can't resist not to play with colours again when I first done my dip dye last year. 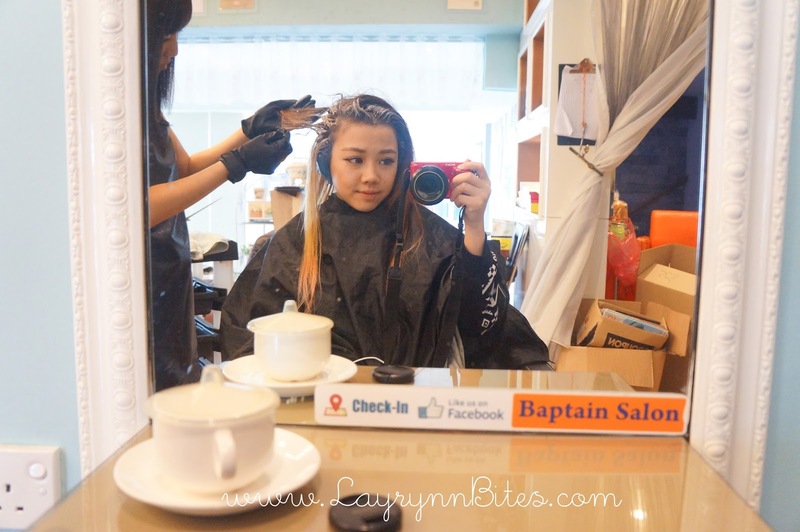 I feel super dull with brown ash hair, so I went to Baptain Saloon to get my hair done. 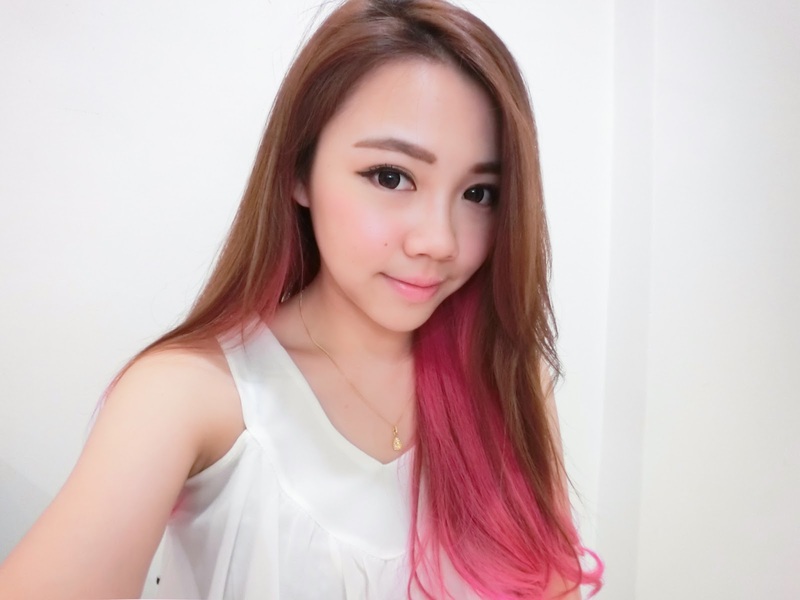 Many people asked about my dip dye, colours, hair condition and etc. Located at the 3rd floor of G Hotel. It's a cozy place which you could see the swimming pool and scenery of G Hotel's roof top. Perfect place to relax our mind. It is my 4th time bleaching my hair, but I'm still nervous for my new colour. Pray so hard that time hope that it could turn out my favourite colour! The outcome after bleaching! It doesn't seems to be so slanting in real hair. Glad that I'm born with straight hair and non frizzy hair. The colour of selection by my hair stylish. It looks so yummy! 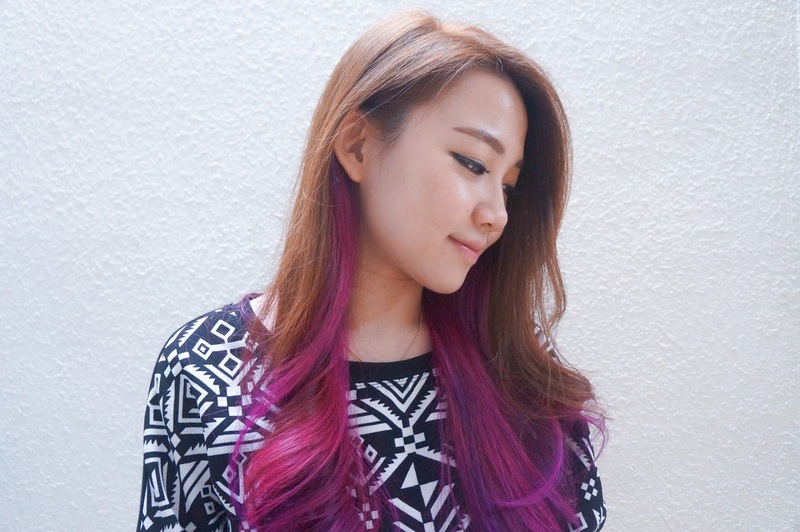 Need to have some pamper session after dip dye to reduce the damage of my hair. But honestly saying that, their hair treatment is really awesome! My hair are still smooth and silk after 2 days. There are some few steps I din't take on cam, but this is the last step before I wash off my hair. 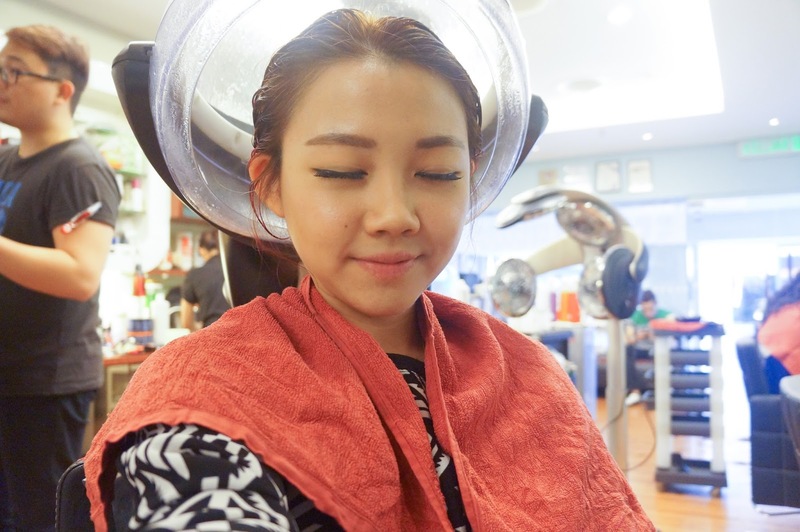 Thank you for pampering my hair like princess! I did not edit anything besides the lighting. Their treatment is way too awesome! My hair stylish said that my hair condition is kinda good and strong although bleach so many times. Lil secret of mine is, give some hair mask for your hair when you're free! I bought some easy pack from Guardian to pamper my hair in home while I'm free. Before I moved to my infinity selfie pictures with my dip dye. Here are some question that you guys frequent asked. 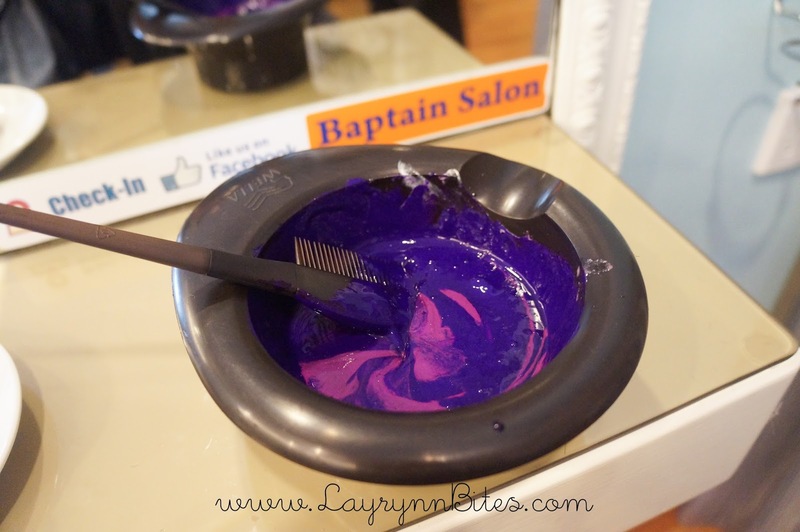 Will dip dye damage my hair? Because it requires to bleach your hair before you tone up the colour. Bleaching will cause dry hair and splits ends. If you're 1st time doing it, I suggest to go for small section of your hair. In case you don't really like the outcome / doesn't suit you, you can cut your hair anytime. Can I not bleach my hair for dip dye? I think of this question before when I wanna try for my very 1st time. Can. But the result won't last long. The colour will be washed off completely for the 1st time you rinsed / wash you hair. 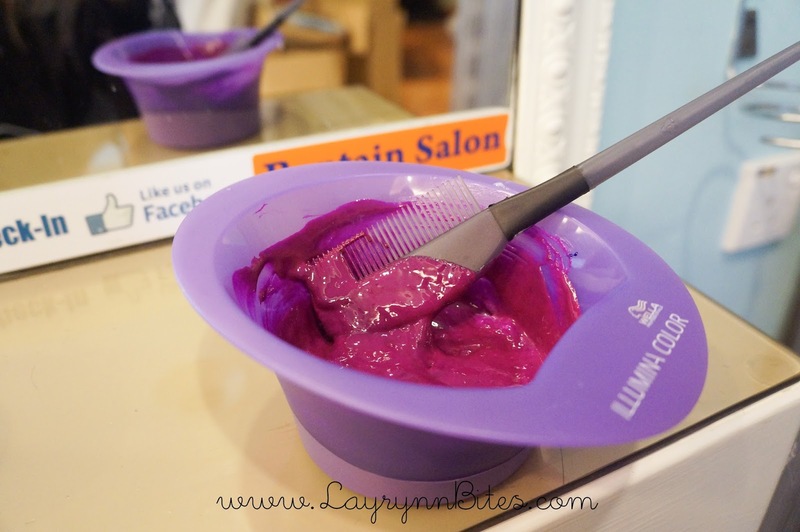 How to know your perfect colour to dye? 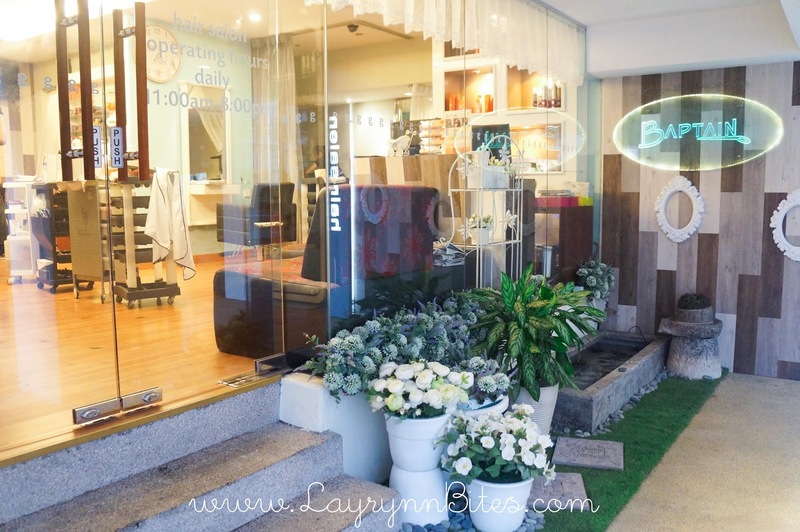 You may consult your hairstylist before you proceed because it is the most important steps! Discuss with your hairstylist what's in your mind / your preference. You may work out together to have your perfect colour. 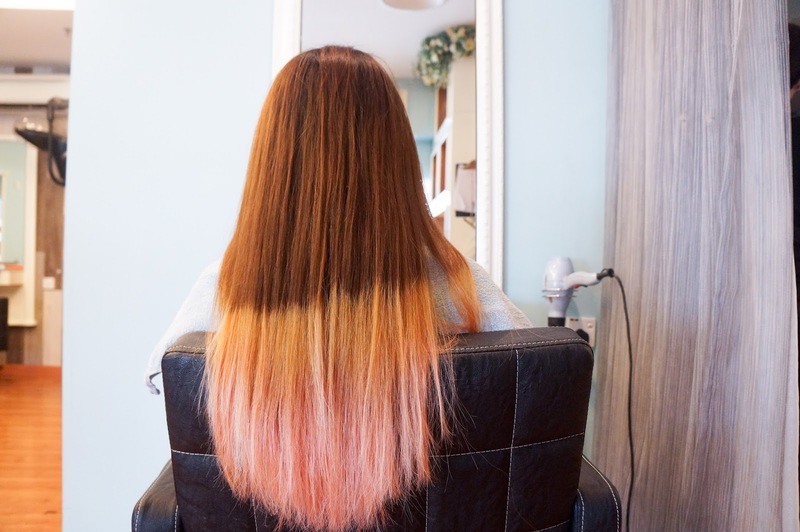 How long your dip dye last previously? Accurately saying is, 4-5 times after I washed my hair. So it depends how often you washed your hair. But my colour won't fade to the basic bleach colour cause I have some pink & red based on. So my purple dip dye fade to red, and lastly to light pink. That's the past dip dye that I've done. Not the current one. 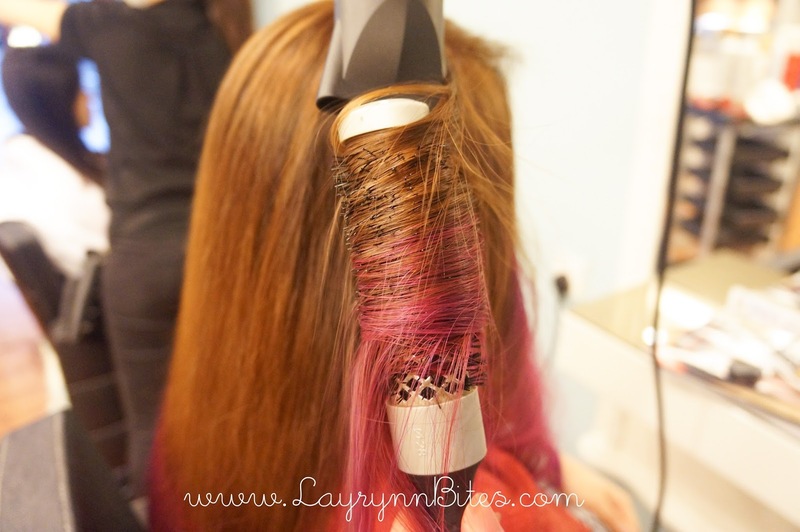 Does your dip dye fade after your 1st wash? 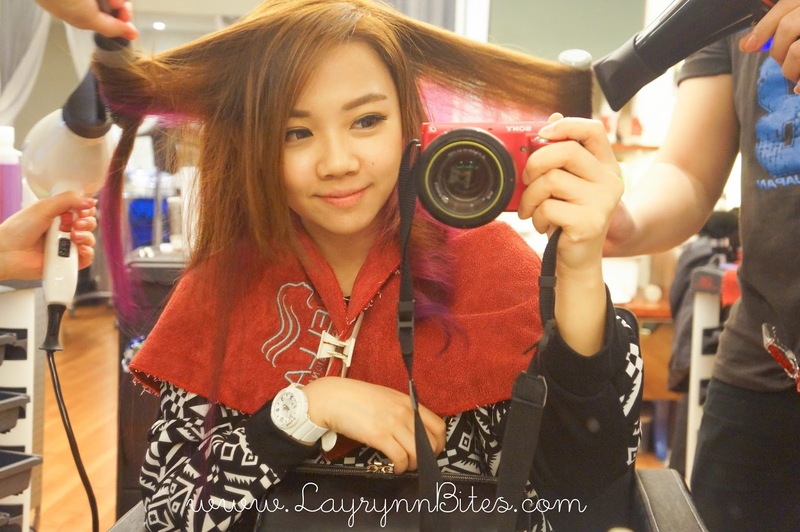 compare to my 1st dip dye at the other saloon. It just slightly become a lil lighter, just a lil. When will be best time for the next dip dye after the fade? 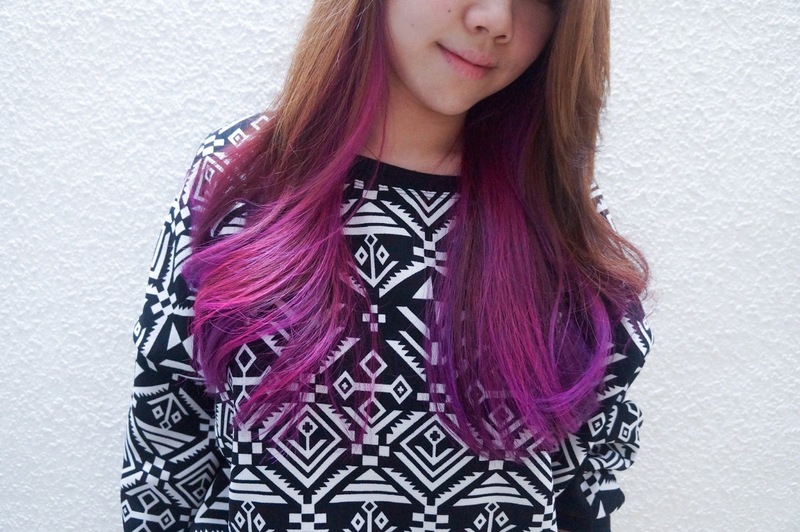 For my case, I did another dip dye after 4 months after the previous one. I did cut my hair a lil shorter to chop away the damage hair and split ends to keep my hair looks healthy. 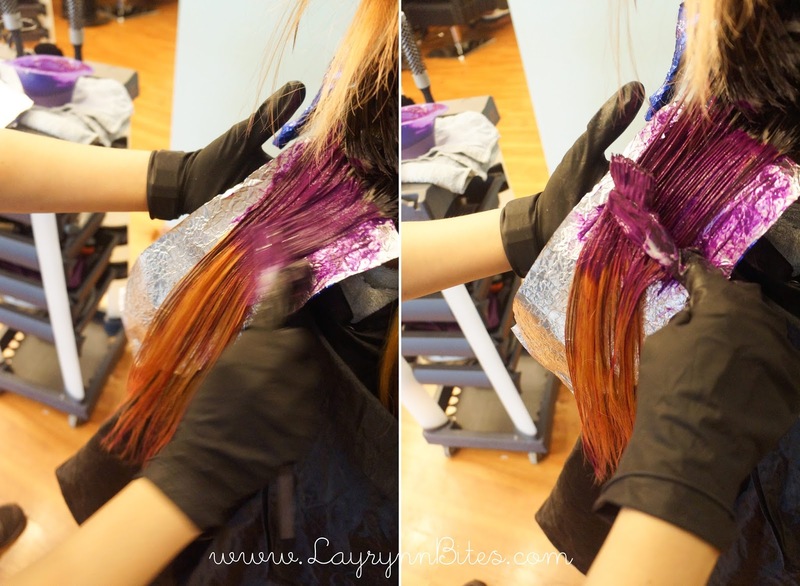 You need to chop it off and let it rest before you proceed to the next dye! 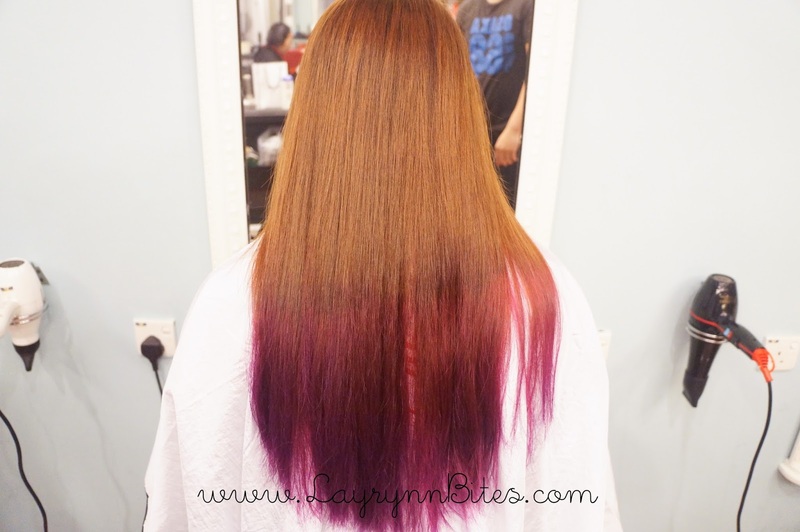 How much it cost for dip dye hair? Well, I can't really give an accurate answer for this. Everyone's hair are different length, condition and etc. Some might need to bleach more times as their hair is not easily to get bleach. Some might this and some might that. Sum up of all that, it actually depends on the tip and bits of your hair. Thus, everyone's bill are not the same. Sorry for my super tired face. I've been sitting and slacking at the saloon for almost half of my day! Credits to boyfie for taking the perfect shot. That's my dip dye journey in Baptain Saloon. 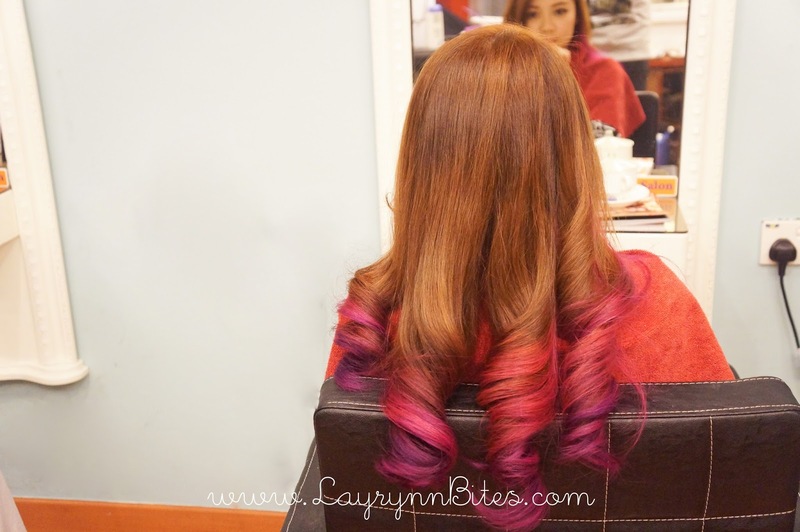 I'm so in love with my result and the super magical hair treatment that they did to my hair! You may always seek for their professional advice for your perfect hair colour. 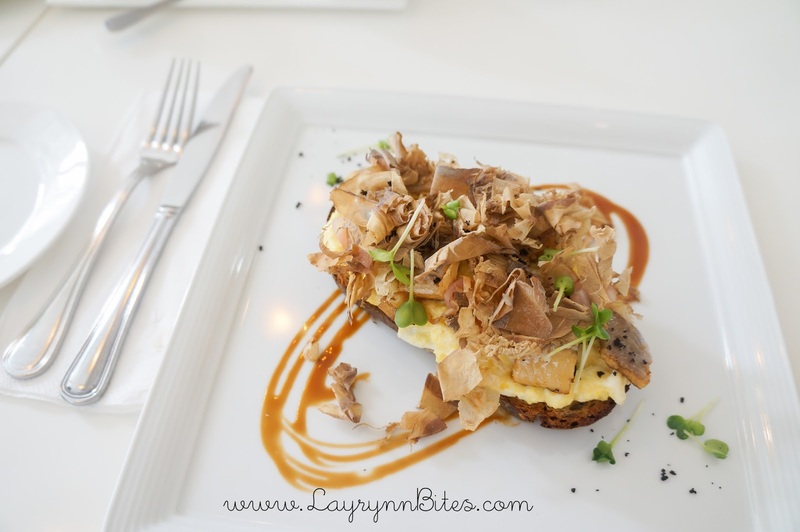 Don't forget to quote my name "CarmenLayrynn" to get 20%OFF for your total bill. You could use it every time when you visit to their saloon! Address : 3rd Floor, G Hotel. 168A Persiaran Gurney, 10250 Penang, Malaysia.